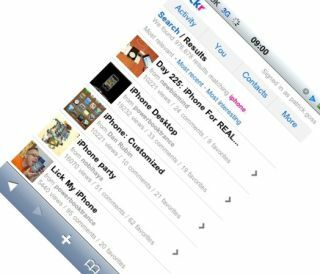 Flickr has gone truly portable, with the popular online photograph showcase releasing an iPhone optimised version of the site. Although some of the functionality, like picture editing, has disappeared, visitors to m.flickr.com with a mobile device will get a more functional, minimal version of the site. You have to sign in with your Flickr/Yahoo account to see the full effect, and you'll immediately notice that the options are at the top of the screen – much handier for smaller displays. TechRadar's early impressions are that it's a nice forward-thinking update – looking more like an app than a website and the loss of functionality is more than made up for by the increased ease of use. So if you want to browse through somebody's pictures of Fratton Park, or remind yourself of your holiday in Ibiza, you can now do it on the small screen.